So Just What is so Special About Being on the Water? – Howard Boat Works, Inc. In an earlier rant, thinly disguised as a ‘blog post’, I rebutted the concept that boating is too expensive. I had metrics to back me up thanks to the NMAA. I spent some time thinking about the various subjective versus objective reasons why people seek refuge on the water. So here goes. Harley riders have an old saying that goes something like “If you have to ask, you wouldn’t understand”, which is a response given when people question why one would ride a Harley Davidson motorcycle. The same may be said, albeit with a less defiant edge, about boating. People who go boating, at some point in their lives, had a trigger, or series of triggers, that hooked them. Maybe their Dad took them fishing. Maybe they rode in a friend’s boat. My triggers came courtesy of my Dad who introduced my brother and I to boating when we were very young. I wrote about one of the boats he used to own here. This and countless other boating experiences forever instilled in me a love for the water. Despite the financial obligations along the way, the reward is out there. I don’t care what the vessel is, be it a kayak or a motoryacht. The magic is in the element. The magic is in the water. 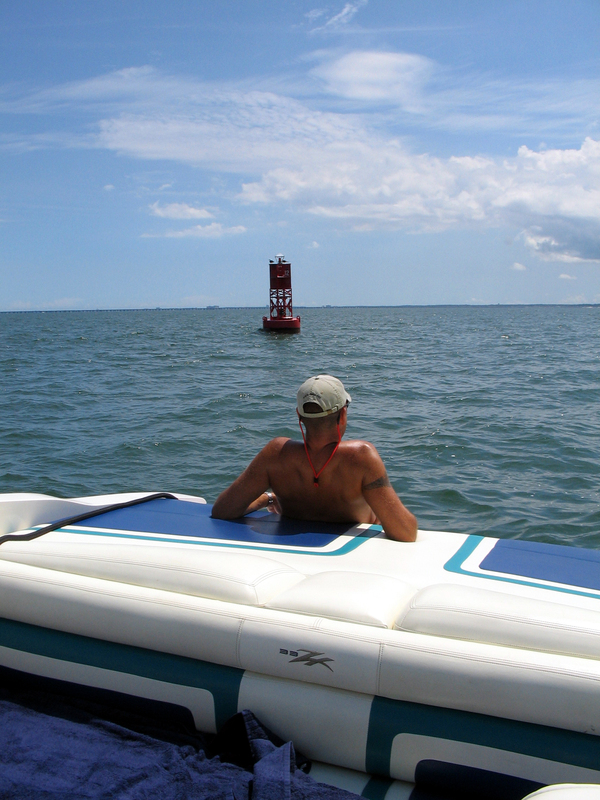 What are your favorite boating memories?